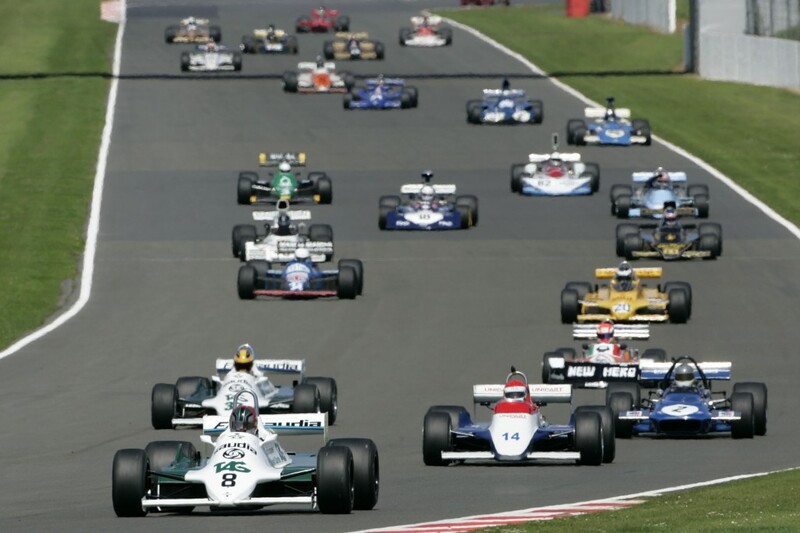 On Sunday (4 July) the famous Silverstone Circuit will host its 50th Grand Prix race – it’s a magical milestone that will be celebrated not once, but twice during this landmark month. First, the golden anniversary will be marked by a select parade of high-profile F1 cars over this coming British Grand Prix weekend. Then, three weeks later, the birthday party really revs up when the Northamptonshire venue stages the annual Silverstone Classic (25-27 July), the World’s Biggest Classic Motor Racing Festival. The Classic’s unrivalled line-up of evocative F1 races traditionally covers nearly 40 years of Silverstone’s GP history. 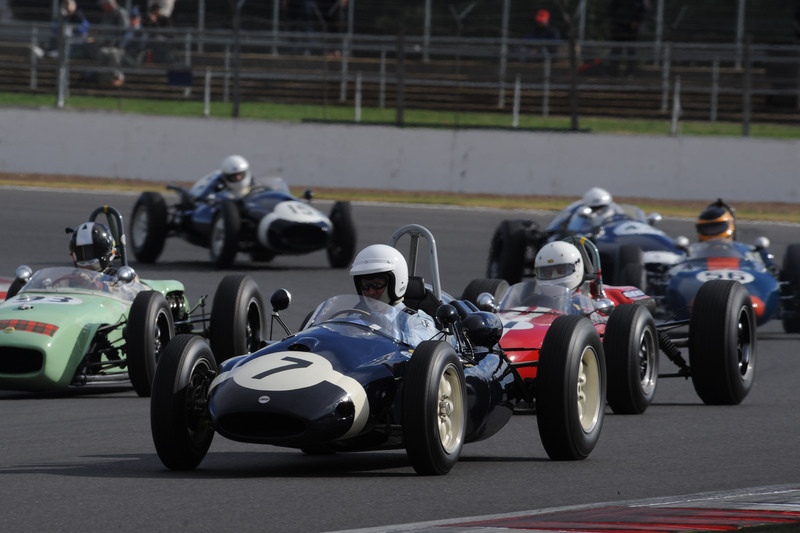 Its eye-catching schedule includes six magical races for iconic F1 cars that stretch from the converted bomber base’s first ever Grand Prix back in 1948 right up until the end of the much-loved DFV era in 1985. However, with Silverstone joining the exclusive group of Monaco, Monza, Nürburgring and Spa-Francorchamps to have staged 50 Grands Prix, this summer’s Classic will be even more F1-focused with an unparalleled world record parade of Grand Prix cars organised specifically to honour this hugely historic occasion. 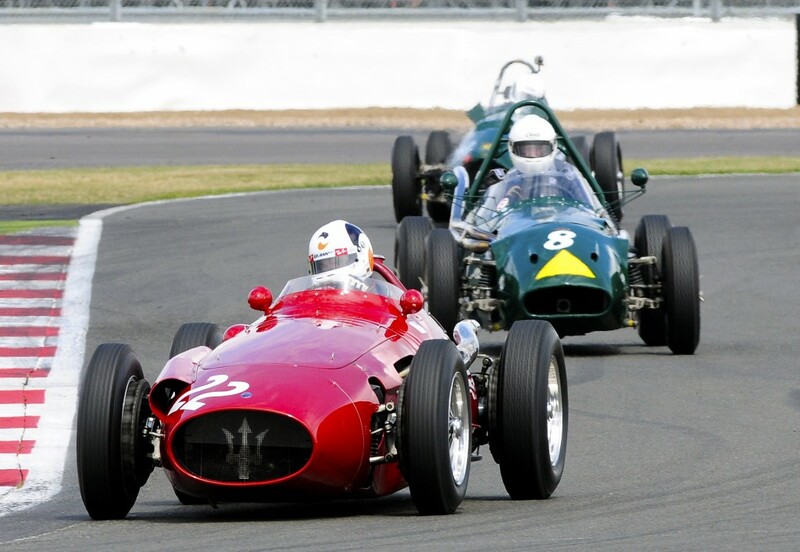 The unprecedented parade, which will be led by racing legend Stirling Moss OBE driving a glorious Maserati 250F from the fifties, will be staged at lunchtime on ‘Super Sunday’ (27 July). The celebratory cavalcade will feature a large number of the illustrious cars already competing at the Classic in the FIA Masters Historic Formula One Championship as well as the two earlier grids organised by the Historic Grand Prix Cars Association. They will be joined, though, by a significant number of additional Grand Prix cars that are coming to Silverstone especially to take part in the great parade. These include various ERAs, Coopers, Connaughts and the rare Pierce MG from the fifties, Lotuses and Brabhams from the sixties and more recent Hesketh and Ensigns from the DFV days. What’s more, all the cars will be on display throughout the three-day festival for fans to see up close. “It’s going to be a very fitting tribute to Silverstone and, of course, an amazing spectacle. When has anyone ever seen – let alone heard – a hundred Grand Prix cars all on the track at the same time?” said Nick Wigley, Event Director, who is keen to point out that it’s not too late for others to join the remarkable party. “We are open to anyone with a genuine Grand Prix car wanting to be part of what’s clearly going to be a unique and historic celebration,” he confirmed. While Sunday’s exceptional birthday parade will be a special highlight, fans will also savour seeing and hearing these iconic F1 cars still racing at flat-out speeds… and they won’t be disappointed. The two FIA Masters grids star a host of fabulous 3-litre machines, all in unforgettable period livery from what many still recall as being the sport’s true golden age. 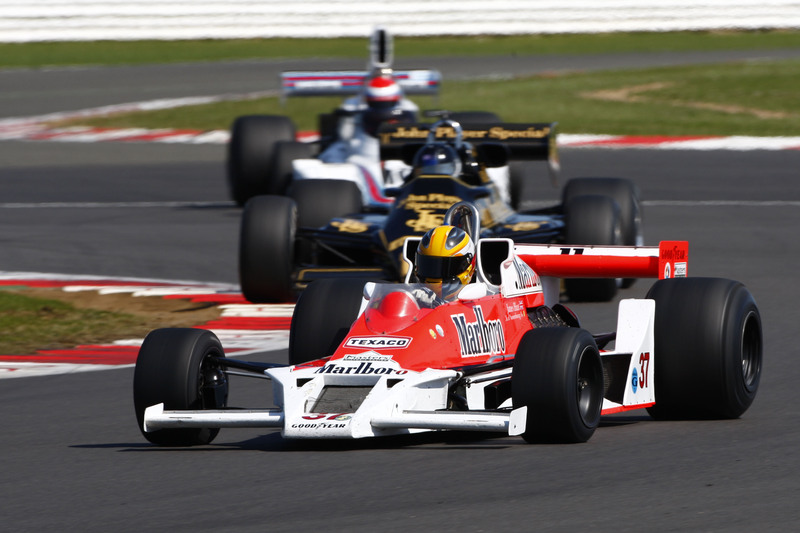 Among the interesting entries this year is the JPS Lotus 72 of Katsu Kabota, the orange March 240 6-wheeler of Jeremy Smith and Nathan Kinch in a 1985 Minardi, a car not seen in action for many years. Adding to the mix is modern-day sports car racer Stuart Hall who’s entered in the McLaren M19A from the renowned RofGo collection – the Yardley-backed machine won the 1972 South African Grand Prix in Denny Hulme’s hands. Maserati’s centenary is another major milestone being celebrated at this summer’s Classic and the two HGPCA races for pre-1961 front-engined Grand Prix cars could witness as many as five Maserati 250Fs – plus the unique 250F-based Tec Mec – all lining up on the same grid.